Yes consumers there is another "iPhone Killer" on the block now. 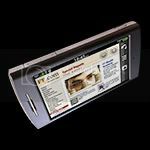 Garmin announced 1 /30/2008 that there contribution to the Smart Phone Wars will be the Nuvifone "an all-in-one, sleek and slim, touchscreen device that combines a premium phone, mobile web-browser, and cutting-edge personal navigator. The nüvifone is a work of art in features, design and functionality and is destined to transform how individuals connect, communicate and navigate their life".
" iPhone Killer" they say. Wonder what the others in the growing group of Mfgs. of these SmartPhones will have to say about that. After all we already had LG Voyager vs Iphone hissie in the last 10 weeks. The iPhone was released June 29, 2007 and the LG Voyager was released November 21,2007. Though during Steve Jobs Keynote Speech at Macworld on January 15, 2008 it was announce that Apple has developed Maps +Locate for the iPhone and that 4 Million units had been sold to date. On the other hand the Voyager was reported to be the most searched phone during the 2007 holiday season. The public will just have to wait and see what happens with the Nuvifone. It should be out in the 3rd quarter of 2008. The nüvifone is an innovative mobile phone that has a wide range of advanced yet easy-to-use features. The all touchscreen device is the first of its kind to integrate premium 3.5G mobile phone capability with an Internet browser, data connectivity, personal messaging, and personal navigation functions in one device. When powered on, the 3.5-inch touchscreen display reveals three primary icons – “Call,” “Search,” and “View Map” which allow the user to effortlessly master the nüvifone’s functions. The nüvifone is the ultimate multitasker. 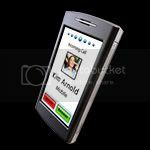 Calls are easily initiated by tapping the “Call” button and selecting a name from the contact list or by using the on-screen keypad. When the user is trying to juggle talking on their phone while entering their vehicle to start a trip, the nüvifone makes the transition simple. When the nüvifone is docked onto the vehicle mount, it automatically turns on the GPS, activates the navigation menu, and enables hands-free calling so that the user never misses a beat in the conversation and is able to begin routing to their destination with ease. Customers familiar with Garmin’s industry leading nüvi® product line will feel right at home using the nüvifone's personal navigation features. It includes preloaded maps of North America, Eastern and Western Europe, or both, and allows drivers to quickly find a specific street address, establishment’s name or search for a destination by category using the nüvifone’s built-in database with millions of points of interest. 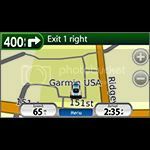 Turn-by-turn, voice-prompted directions guide the user to their destination. If they miss a turn along the route, nüvifone automatically recalculates a route and gets them back on track, speaking the names of the streets along the way. 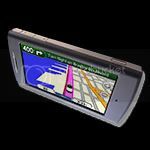 The nüvifone is Garmin’s first device to include Google local search capability, which harnesses the vast point of interest information available from the world wide web. Nüvifone users can search for locations like “coffee shops” and Google will sort the results based on the user’s current location and relevance. Information provided by Google includes a web-based rating so that users can select the most appropriate destination and route directly to it. In addition, the nüvifone includes a web browser incorporating premium features and touchscreen operation for an optimum mobile browsing experience. The nüvifone also includes personal messaging functions, including email, text, and instant messaging. In addition to navigation, the nüvifone includes access to Garmin Onlineed, an online service offering constantly-updating information such as real-time traffic, fuel prices, stock prices, sport scores, news reports, local events and weather forecasts. The nüvifone also includes numerous mobile entertainment applications. The built-in camera allows individuals to take a picture that will automatically be tagged with the exact latitude and longitude reference of where the image was taken. 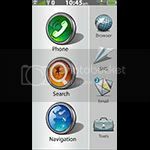 The user may then save the image so they can navigate back to the location, or email the image to a recipient who can navigate directly to the location. The nüvifone also provides direct access to millions of geolocated landmark and sightseeing photographs available through Google’s Panoramic picture sharing site. The Panoramic photo search feature enhances the enjoyment and adventure of sightseeing in an otherwise unfamiliar location. Other multimedia functions of the nüvifone include a built-in video camera, MP3 and MPEG4/AAC. Garmin anticipates that the nüvifone will be available in the third quarter of 2008. Specific details about pricing and sales partners will be announced in the future. Garmin is truly a competitor in the market now. 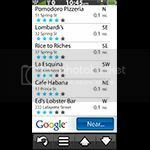 But with iPhone and LG Voyager with a substantial jump in the newest cell phone market the SmartPhone market. Once this Phone is on the market we will have a iPhone vs Voyager vs Nuvifone smackdown. Consumer Report will be doing somthing similar for sure.